Respect is fourth strategy of Omdenken, discover more. The strategy of respect is the fourth of Omdenken’s strategies. Although this strategy can take many forms, it features two basic characteristics. Firstly, respect always involves another person, or group of people, and an interaction as a result of their behavior. Secondly, the strategy of respect dictates that when you observe another person’s behavior (in an emotion, an expression of free will, a need, or a demand), not only do you accept it fully, but you actively move with, or participate in, that behavior to the degree that the other person is fully aware of your acceptance. 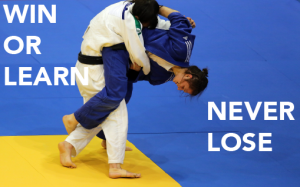 It is similar in many ways to the practice of jiu jitsu: you conquer your opponent, or problem, by reciprocating the exact same energy that your opponent is using to conquer you. Let’s take a look at a few examples of The Strategy of Respect. Imagine that a mother is trying to explain to her children that their father loves them. She says, a touch of desperation in her voice, “Daddy really does love you guys very much. He just doesn’t say it.” That’s just not good enough. In order to properly use The Strategy of Respect, you’ll have to fully recognize the other person, and make sure that they know that you’re recognizing them. The legendary British comedian John Cleese faced an extremely difficult challenge in his life – his mother suffered from depression. After one particularly intense depressive episode, Cleese sighed in desperation and said to his mother, “I just want to be able to help you. What can I do?” His mother thanked him for his kindness but suggested that help was hopeless. She was depressed and that was all there was to it. He couldn’t change a single thing about it. Suddenly though, he had an insight: “I have an idea mum. I know a man in Fulham and I’m going to see him next week. When I get there, I’ll ask him to kill you for money. I’m sure he’ll do it, and then you’ll be dead and you won’t ever have to feel depressed again” Cleese said. And then his mother began to laugh! From that moment on, Cleese and his mother had a kind of scripted dialogue around her depression. When she started to enter the dark side, he’d simply have to say, “Mum, shall I call the man in Fulham?” To which his sweet mother would reply, “No, dear. I’ve got cocktails on Friday.” Sometimes The Strategy of Respect is best put to use by indulging the other person. By moving with them in their pleas, instead of fighting against it. By fighting fire with fire. Consider the life of artist Hasan Elahi as a fine example of this form of respect. During a trip in June 2002, Elahi arrived at the airport in Detroit, Michigan and was taken into custody by the FBI. The agents grilled him with questions as to his whereabouts on September 12th, 2001. The artist explained that, on that particular day, he had taught a class and had paid the rent on his storage space. The Feds then asked, “what exactly do you have in that storage space?” Elahi replied, “furniture”. “No explosives?” the police asked. The inquisition continued for an hour and a half. Elahi remained a suspect, but was eventually released due to lack of evidence. The FBI did however demand that he, over the course of the six months that followed, report to the FBI office in Detroit. In addition, he had to inform them as to any trips he may be taking. Did Elahi get frustrated about the FBI’s dogged persistence? No. On the contrary. He respected the police and their interest in his activities. He took their requests very seriously, and gave them even more than they wanted. He began to report regularly to the FBI. Before he left his home he’d call and say to the Feds, “Guys, tomorrow at 5:12 pm, I’ll be on a Northwest Airlines flight to New York. The flight number is AX526L. We arrive at 7:15 pm.” Elahi continued to send the Bureau e-mails with photographs, travel tips, and links to other websites. He created a website to consistently and thoroughly inform the police with photographs of his airplane meals, the stores where he’d shopped, the regularity of his bathroom visits, the gas stations where he got gas, etcetera, etcetera. What began as an irritating and intrusive request from the FBI grew to a masterpiece work of art. Elahi was even asked to tell his story as a TED-Talk, after which his reputation as a successful international artist was cemented. These are but two examples of the dizzying array of various forms that the strategy of respect can take. They can range from intensely serious to absurdly humorous, and everything in between. Explore them with curiosity and use the strategy of respect in your interaction with other people – you’ll be surprised at the results. This piece is a summary of the strategy of respect.